Every time I go to Chicago, I do something different. When I was younger, I went to the American Girl Doll Outlet. When I was older I liked going to Shedd’s Aquarium. Now, when we go to visit family we take the train and go shopping. However, out of all the times I’ve been to Chicago, the trip yesterday was spectacular and different. 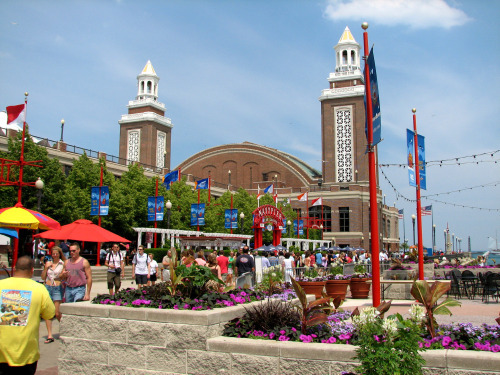 Navy Pier was so fantastic that I didn’t want to leave. Following Navy Pier came Magnificent Mile where we “shopped “til’ we dropped.” Most of us didn’t buy tons of stuff on Michigan Avenue because we “splurged” at Navy Pier. Nevertheless, it was tons of fun. There are two floors of Forever 21! We shopped at the building across from Bloomingdale’s. It had countless levels and half of our time at the building was spent riding the fun elevators and escalators. Overall, we had tons of fun even though it was raining! In fact, the rain made it an adventure! Thank you Mr. Skonecki and Ms. Mattson for planning this field trip. What did you do in Chicago? i was on Michigan Avenue and then my group did the river walk thingy. it was fun. and that was my second time going to chicago. i really want to go more so i can see everything! the borders antoinette, jacob and I went to had like 4 floors. i was so happy with the necklace i got from forever 21! I love that store! And I ❤ my new shirt i got. I'm wearing it 2day! You know what I did considering the fact that you were with me the whole time!!!! P.S. I hope you have an awesome graduation. Chicago was very awesome even in the rain.